Heaps Decent is an Australian based dynamic arts organisation working with young people & emerging artists from diverse communities, providing a means by which they can tell their story in their own way. Heaps Decent supports change, positive futures & the development of high quality Australian music with a unique identity. A couple of weeks back we took US National Louisahhh! 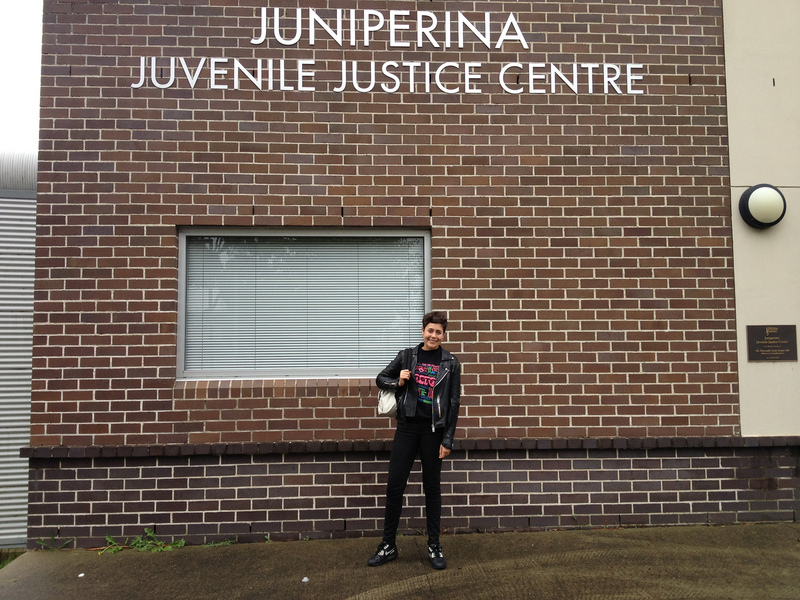 to a workshop at Juniperina girls juvenile justice centre in Lidcombe. Louisahhh was here touring, DJing shows around the country and took time out of her busy schedule to come and work with the girls. After sharing some incredible life lessons with the girls, the singer/DJ/producer had them inspired and took no time to get them singing over a great techno beat she made. Another amazing Heaps Decent guest, which we were super grateful for! We can’t thank her enough for coming to the workshop and sharing her time, skills and wisdom with us! !